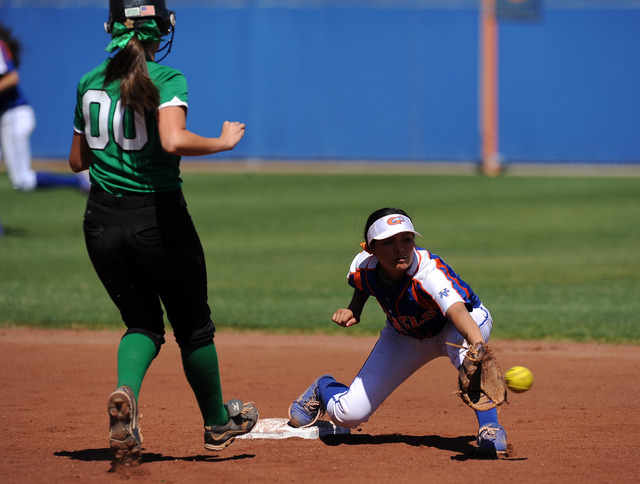 Sanchez saw eight pitches to open the game Saturday, singling up the middle on the last pitch to start a three-run rally, and the fourth-ranked Rams held on for a 5-2 win at Bishop Gorman. 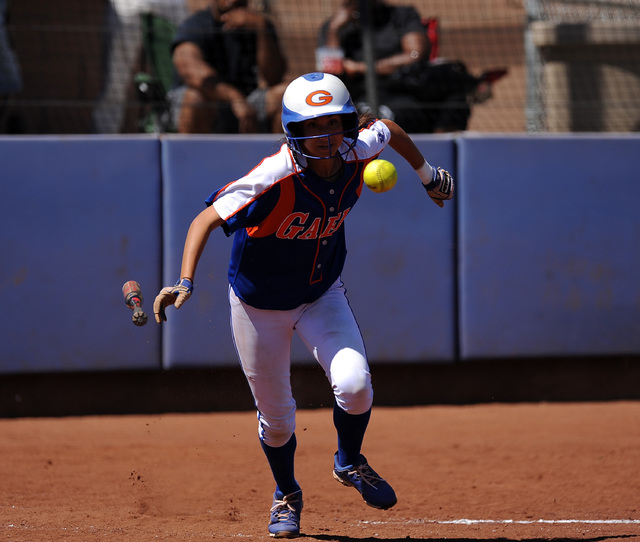 Fellow freshman Gianna Carosone drove in the first run on a sharp single through the right side. 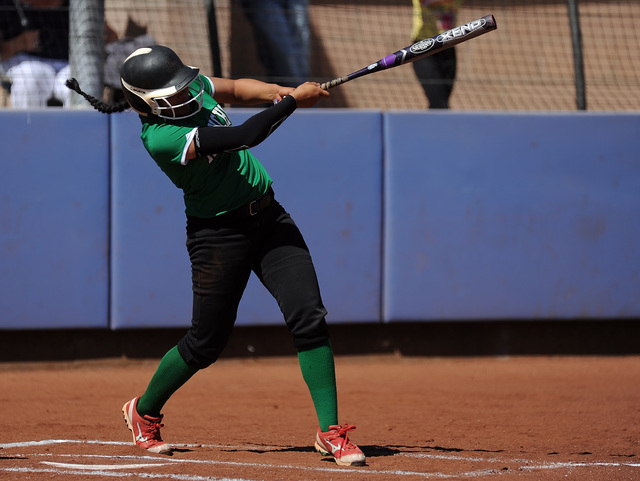 McKinzi Vega followed with a squeeze bunt to score a run, and Tiare Lee lined an RBI double to left-center field to give the Rams (17-3) a 3-0 lead. 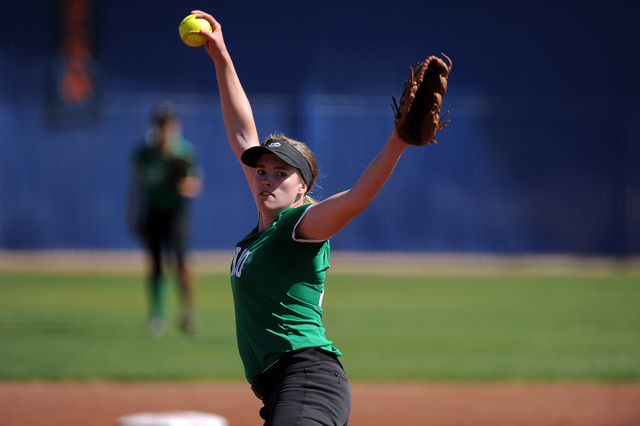 Rancho pitcher Samantha Pochop rolled early, striking out six of the first seven batters she faced, and allowing one baserunner through three innings. 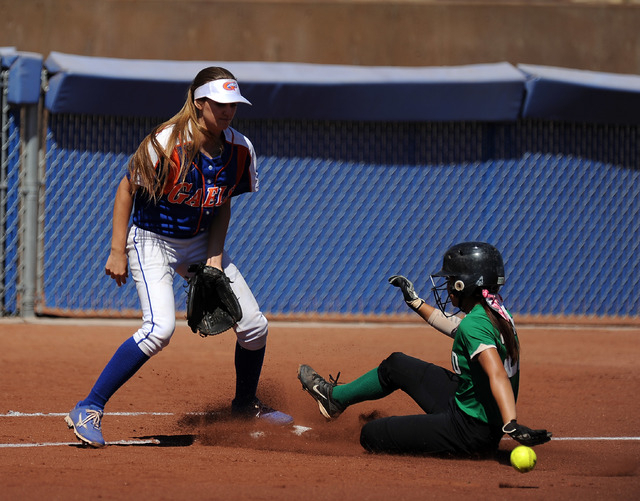 But she walked Ashley Witucki with one out in the fourth, and Jasmine Gibson followed with a two-run homer to dead center for Gorman (3-10-1) to cut the lead to 3-2. Pochop bounced back well, allowing just one hit the rest of the way. 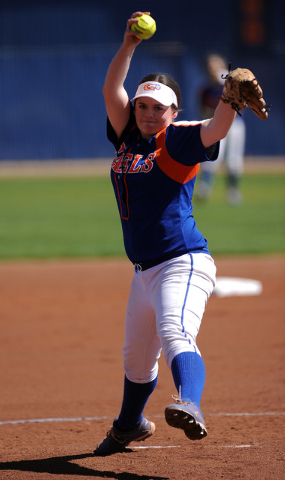 She finished with a three-hitter, striking out 11 and walking two. 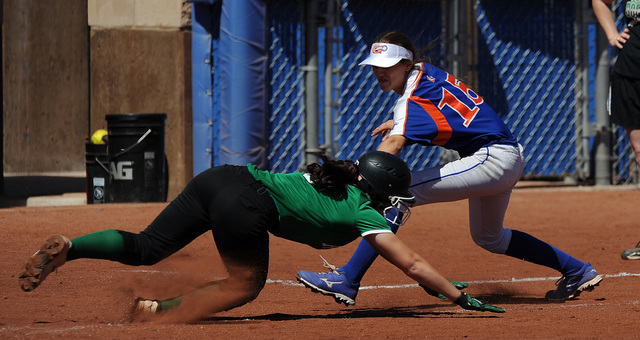 Pochop also went 2-for-2, and her leadoff double in the seventh started another rally to give the Rams some cushion. Jahnae Davis-Houston singled to move Pochop to third, and Sanchez brought them home with a double to right-center field to make the score 5-2. 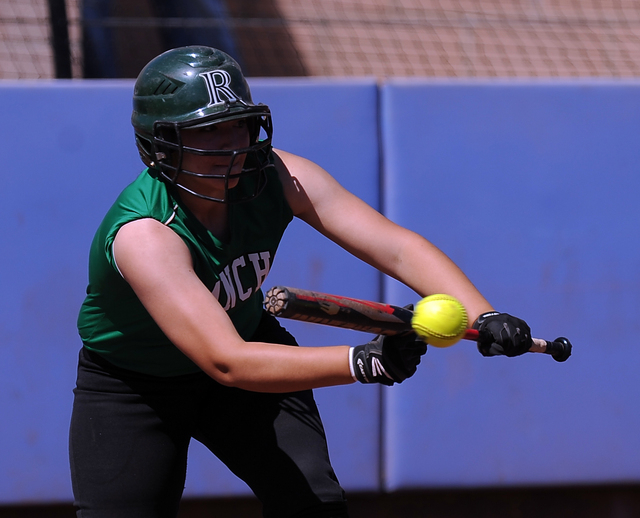 Sanchez was 2-for-4 and Carosone 2-for-3 for Rancho, which had nine hits. 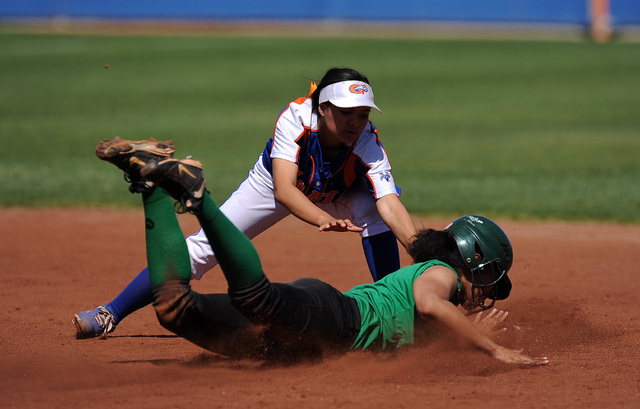 Contact prep sports editor Damon Seiters at dseiters@reviewjournal.com or 702-380-4587. Follow him on Twitter: @DamonSeiters.